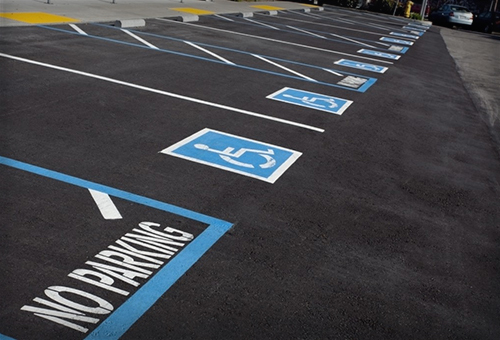 Whether you have a small car park with a handful of spaces or a large multi-storey, Warehouse Floor Marking Ltd will help you plan a layout which is efficient in terms of space and safe for both pedestrians and motorists. Warehouse Floor Marking Ltd have the capability to use any material from thermoplastic to cold applied MMA. The best material to use often depends on such things as the surface that the markings are being laid onto and the amount of traffic they will receive. These are factors that we discuss with you on our site visit before deciding upon the most suitable and cost-effective option. Our external line marking teams cover the UK, call today to discuss your needs.